The needs of this market tend to be very specific to the application, but the common denominator is that the forces required are very large. Shore Western has built a number of very high force systems with over a million pounds (4,500kN) of capacity. 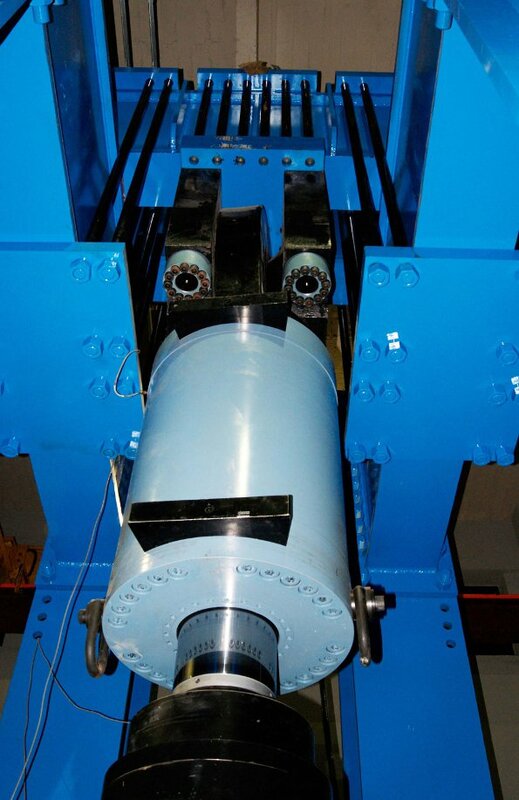 The largest actuator we have built had a capacity of 2.25 million pounds (10MN). Shore Western is also in the process of configuring a 7 million pound (31MN) load frame for testing oil and gas pipe sections. We have also built custom systems for this market, including the valve test stand pictured below with 4 million pounds (18MN) force capacity. We would be happy to discuss your specific application requirements.